The program support all major Web Browsers including Internet Explorer 11, 10, 9, 8, Firefox, Chrome, Opera, Safari, Mobile browsers and all other standard complaint Web Browsers. Furthermore, TemplateToaster support Responsive Web Design (RWD), which means that your website will display perfectly fine on any device. 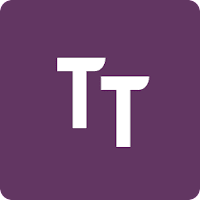 TemplateToaster is suitable for both novice and expert users, and does not require and experience with programming languages or web design tools. Inclues Free Updates for one year! Disclaimer: Direct downloads for the lastest version of TemplateToaster 7.0.0.17147 are provided by the official software's author, we can't guarantee safety, availability or download speed. Moreover, we don't and we won't provide any pirated/illegal versions or tools. We recommend you to avoid it as these methods can harm your device. If you like the software, buy it to support the developers. (We provide software discounts for many worldwide brands).